Known for bluebonnets, Waller, Texas is a small community near Houston. Small town life is strong in Waller; the local community’s activities center around community and fellowship. At the New Hope United Methodist, this means gathering together in His name every Sunday. We recently installed new church pews in New Hope United Methodist and got to know the congregation during our visit. 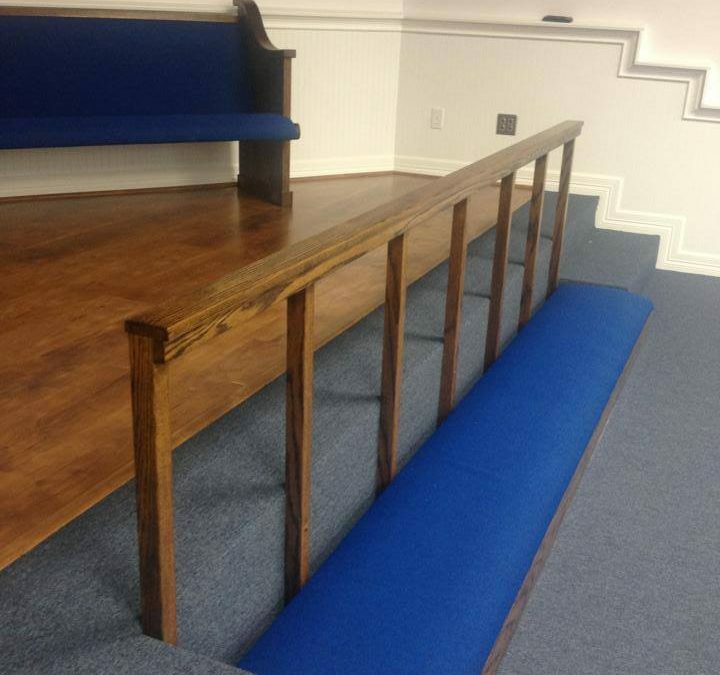 You’ll notice in the photos that we installed kneelers at the front of the church as well as church pews. Kneelers give your congregation space to take time to reflect and pray at the beginning and end of church services, as well as a place to receive communion if your church services ask church members to join at the front of church for communion. Throughout the week, kneelers also provide a special space for prayers not lead by the church if you choose to leave your doors open throughout the day. Knowing if you need kneelers at the front of your church or at individual pews comes down to your church’s order of worship during services. Some churches need both because services call for praying at the front of the altar as well as praying while kneeling together during services. 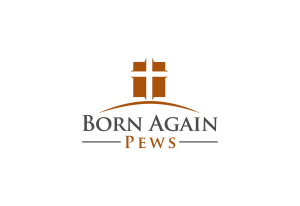 Some churches don’t need front kneelers but do need kneelers on pews, which we can easily build and include on our custom church pews. Either way, if you decide on kneelers for your church at the front, on pews, or both, you can choose to match your church pews to your kneelers or to do something different. 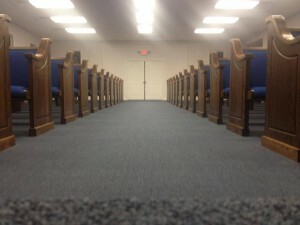 In this church, they chose to match the kneelers to the stain and fabric colors of the church pews we also installed. If you want to involve special altar colors in your kneelers at the front or to visually separate the places, you might not want to match the kneelers to your church pews. If you’re unsure what’s best for your church, we can help. 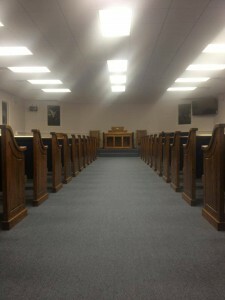 Just give us a call or contact us and one of our church furniture specialists can assist you.